First, teach your dog to enter and sit calmly while the car is stationary. Keep sessions short. Reward with quiet praise and treats. Next step is to encourage them to get into the car with the engine running, again using treats and praise. Once your dog is happy and calm in the car, start with short trips with each successful trip getting progressively longer. Make them associate the car with pleasant things first, such as going into a park to play. Make regular stops. Just like us, dogs need to stretch their legs and toilet every couple of hours. 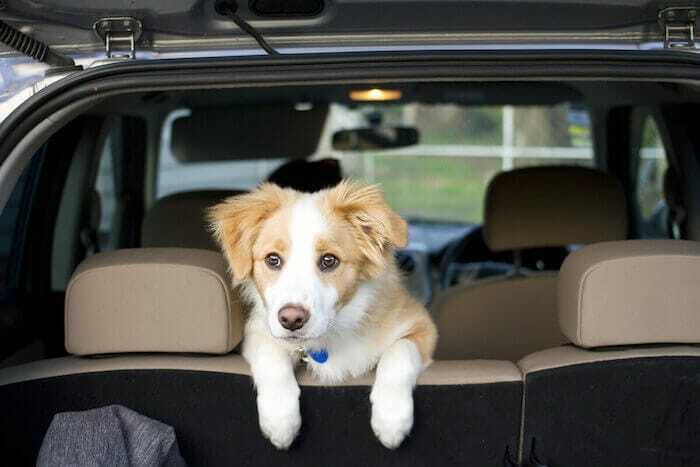 Use ADAPTIL to reassure your dog also in the car. Some dogs may also feel more reassured in a travel kennel or carrier. Alternatively, use a leash or a harness to attach to the seat belt, to restrain your dog for safety reasons. This will prevent them from moving around in the vehicle. Whether in a kennel or not, provide your dog with a comfortable blanket and toys. Keep the vehicle well ventilated. Never leave your dog unattended in the car on a warm day. ADAPTIL gives your dog powers to take on the world!